Objectives Air pollution exposure may contribute to the development of preeclampsia and hypertension during pregnancy. However, the evidence for such a relation is still limited. We investigated the associations between exposure for moderate to low levels of air pollution during pregnancy and preeclampsia and gestational hypertension in selected urban and county areas of Norway. Methods This study used a sub-group of 17,533 women in the Norwegian Mother and Child Cohort Study. Air pollution levels at residential addresses were estimated using land use regression models and back-extrapolated to the period of each pregnancy. Information on preeclampsia and gestational hypertension were obtained from the Medical Birth Registry of Norway and information on lifestyle factors was collected from questionnaires completed by the women during pregnancy. Results Moderate mean levels of NO2 (13.6 ± 6.9 µg/m3) at residential address during pregnancy were not associated with preeclampsia and pregnancy hypertension. 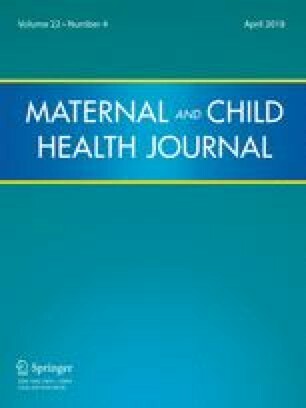 We found no statistically significant associations per 10 µg/m3 change in NO2 exposure and preeclampsia (adjusted OR 0.89, 95% CI 0.74, 1.08) or hypertension during pregnancy (adjusted OR 0.91, 95% CI 0.78, 1.06). Conclusions for Practice In this large Norwegian pregnancy cohort, we found no statistically significant associations for moderate to low levels of pregnancy NO2 exposure and preeclampsia or hypertension during pregnancy. The co-authors would like to express gratitude to all MoBa cohort participants and research team, to Sviatlana Panasevich and Jon Wickmann at NIPH for their help with the database management, and to the Norwegian Institute for Air Research team for providing valuable research data thru their national air quality database. PN, SJL, WN, PM were involved in conception, hypothesis delineation and study design. SJL, GA, SEH, CM contributed to the exposure assessment. CM and PN drafted the manuscript. All authors were involved in data interpretation and approved the final submitted version of the manuscript. The Norwegian Mother and Child Cohort Study is supported by the Norwegian Ministry of Health and the Ministry of Education and Research, NIH/NIEHS (contract no N01-ES-75558), NIH/NIDS (grant no.1 UO1NS 047537-01 and grant no.2 UO1 NS 047537-06A1). This study was also supported by the Research Council of Norway (Grant No. 196102) and the Intramural Research Program of the NIH, National Institute of Environmental Health Sciences (Project Number Z01 ES49019). The Norwegian Mother and Child Cohort Study has approvals from the Regional Ethics Committee and the Norwegian Data Inspectorate. The current study is based on version VI of the quality-assured data files released for research on the 15th April 2011.